This entry was posted on May 18, 2013 by Russell Smith. 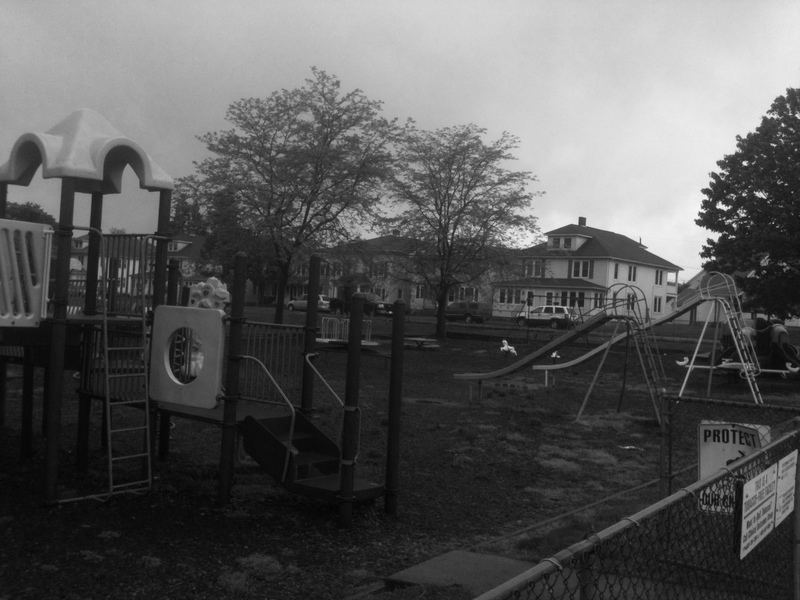 It was filed under Parks, Signage and was tagged with houses, jungle gym, Pennsylvania, playground, protect, Russell Smith, Selingsgove, slides, trees. This is interesting. Black and white. Or is it just a gloomy day? Black and white! It is often quite gloomy here. There predicting a week of overcast skies with a couple days of storms in the mix!